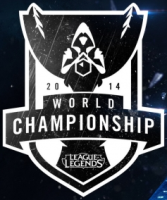 North America (LCS NA) has 3 berths to the League of Legends World Championship 2014 . The 3 seeds where determined at the LCS NA Summer Split Playoffs 2014. This feature will place the spotlight on the teams in North American that have qualified for the Group Stage of Season 4 World Championships in Korea. The three teams are Team SoloMid, Cloud 9, and LMQ. All three teams have a different history and they have been the top teams to dominate the entire season. TSM has been around the LCS since its inception and without any doubt, they are one of the top caliber teams in the NA LCS. During the Playoffs, TSM sneaked their way to the Finals of the NA Playoffs after defeating several other teams. Little do they know, they once again faced off with long time rival Cloud 9 in the Finals for the Summer Split and finally, after an adrenaline pumping best of five series, TSM won the match and was declared the first seed. Having won second place, Cloud 9 was placed as the second seed while LMQ defeated Curse in the Match for place 3 to become the third seed for the NA LCS. During the entire Spring Split, TSM dominated the standings after the acquisition of star Mid Laner Bjergsen to their team roster. 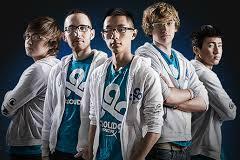 They rose towards the end of the split and took the second spot after Cloud 9 in the LCS NA Spring Split 2014. The Summer Split was rough for the team as they had a rocky start especially after their jungler, TheOddOne stepped down in favor of Amazing. However, things began to change as the team slowly adapted to their new members especially with the addition of Lustboy. They dominated the last few weeks of the split and was headed towards the Playoffs. During that time, TSM was heavily practicing their team synergy in order to catch opponents and ended up winning 3-1 against Dignitas. They then faced LMQ in the semi-finals against which they had a record of 0-4 throughout the entire split. Tension was very thick in the air but ultimately TSM was able to prevail with a score of 3-2. After their win, they were bound to appear in the Finals against long time rival Cloud 9 but this time, they were able to turn the tables on the enemy team and claimed the top spot and the first NA seed to LoL Worlds 2014. Shortly after the NA Playoffs, Team SoloMid went off to bootcamp in Korea to train for the World Championship. Cloud 9 has always been a dominant force ever since they started in the LCS last season. They continued their trend in Spring split of this season and became Winner of the Spring Split Playoffs which granted them a slot at LoL All-Stars 2014 in Paris. During the start of the Summer Split, the team went under the radar and was completely overtaken by the likes of CLG, Dignitas, and LMQ. They were very consistent with the wins but the other teams were winning more games. However, consistency is what Cloud 9 has always been strong with hence they were able to climb the ladder slowly but surely. The last few weeks of the Summer Split showed just how much Cloud 9 wanted to get back to the Worlds Stage and they were able to get to the Playoffs. During the Semi-Finals, they swiftly destroyed Team Curse with 3 : 0 and were matched against TSM in the Finals. 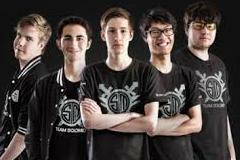 TSM was their long standing rival especially during every Finals. Although they were able to win the Spring Split title, this time though TSM snatched the title from them and they landed second place which gives them the second seed to LoL Worlds 2014. 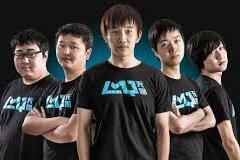 LMQ was an outsider when they came into the LCS during the Summer Split of the 2014 Season. However, they were also crowd favorites due to the fact that they bring a whole new level of gameplay. This was a very welcome change to the stale level of gameplay that the NA LCS has had over the past few splits. During the course of the Summer split, LMQ tried their best not only to get to the top but to win the hearts of many as well as they try to immerse themselves in the American culture and learn how to speak American in just a span of few months. All was fine until the last few weeks of the Summer Split when controversy struck them. Their manager was fired and there was an issue about the ownership of the team. However, the issues surrounding the team did not smother them and their chances of getting to the top spot. After winning the games against the likes of Curse, they ended up taking the third spot for Worlds. With all three teams poised to grace the Group Stage this September, all three are very promising teams to make an impact and surprisingly, all three teams have what it takes to make it to the Quarterfinals. LMQ provides a good amount of aggression early game while Cloud 9 takes the calculated approach and TSM makes teamfighting look easy against the likes of SEA or EU teams. Although all three teams have a good chance at getting to the Quarterfinals, TSM and Cloud 9 have major experience in international tournaments which can be an advantage over the likes of AHQ, Kabum, and KT Arrows whereas LMQ may struggle with the pressure such a big tournament creates. The Quarterfinals might be a tough round of matches for the remaining teams as they will surely face Samsung Blue, Samsung White, Edward Gaming, and teams like Fnatic and Alliance. Prediction: This might change as the Group Stage happens but for now, LMQ will grace the Group Stage but might not be able to go through especially if they are matched against tougher teams like Alliance, Edward Gaming, Samsung Blue, and White. TSM and Cloud 9 do have great chances but it will still depend on which group they'll likely be placed.